So often, you are waiting on someone else to do something before you can get started on your task. You end up sending daily check-in emails to keep updated on their progress. Or worse, you assume they will tell you when they're done only to find out they already finished a week ago. Toggle Dependencies on, and voila! There are two ways to add a dependency. In search box, type the name of the action you want to add. Actions from the current project will be listed first. To see what dependencies an action has, click to open the action. 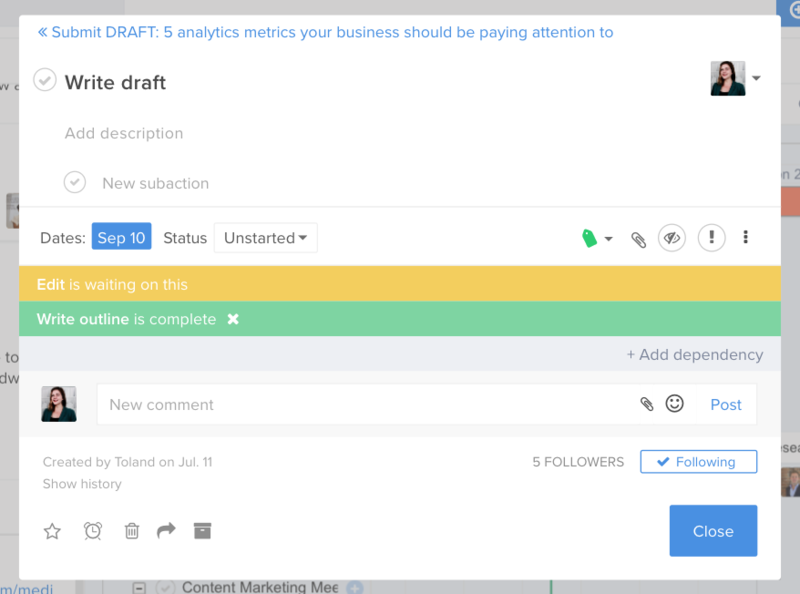 Dependencies (if any) will appear above the comments showing the relationship relative to that action.. Clicking on the dependent actions will open them up. If the dependency is yellow, it means the action is unstarted. If it is green, then it has been completed. 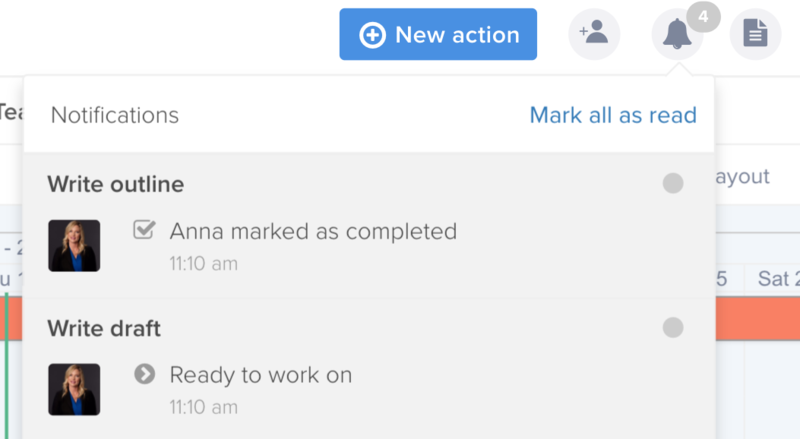 If you are waiting for someone to finish something, you will get a notification to let you know they are done and you're ready to get started. Just as there are two ways to add a dependency, there are two ways of removing one. A new window will open asking you to confirm you want to delete the dependency. You select yes.